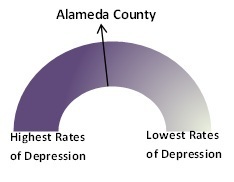 For 2006-08, Alameda County ranked 22 out of 42 California counties on the rate of maternal depression, with lower rankings indicating higher rates of depression (Home Visiting Programs in Alameda County: Program Review and Evaluation, Applied Survey Research, April 2011). 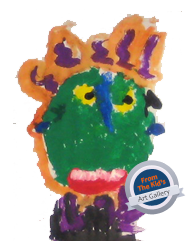 Maternal depression is a significant risk factor affecting the well-being and school readiness of young children. First 5 Alameda County works closely with providers, encouraging them to screen caregivers using standardized depression screening tools and providing regular trainings on screening and referral processes. 12% increase in standardized depression screening of F5AC parents between 2006-2011. 5,392 caretakers were screened for depression, which is 77% of all parents receiving F5AC home visiting services. 23% of caretakers screened positive. We found a positive correlation between caretakers scoring positive for depression and children scoring positive for developmental concerns.